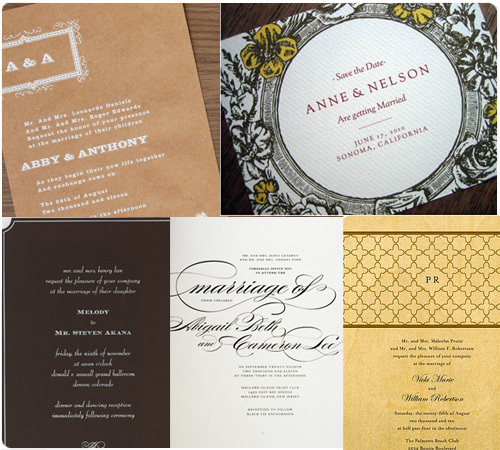 HAP Cordially Invites You to….Wedding Month! Welcome to HAP Wedding Month! With wedding season kicking into full gear, we’ve got tons of fun ideas, guest bloggers and real weddings lined up for you. And since we’re inviting you to join us this month for a virtual wedding extravaganza, we’re starting things off with a round up of lovely stationary ideas. 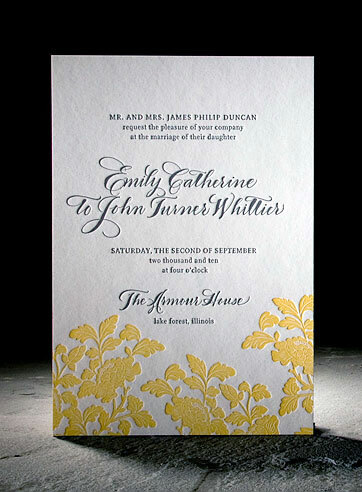 Invitations and accent pieces are a great way to set the stage for the tone and theme of your wedding. 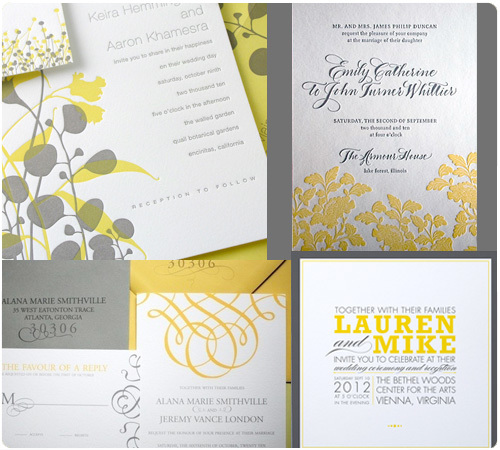 Here are a few color schemes calling our name this year but many of these come in multiple colors. 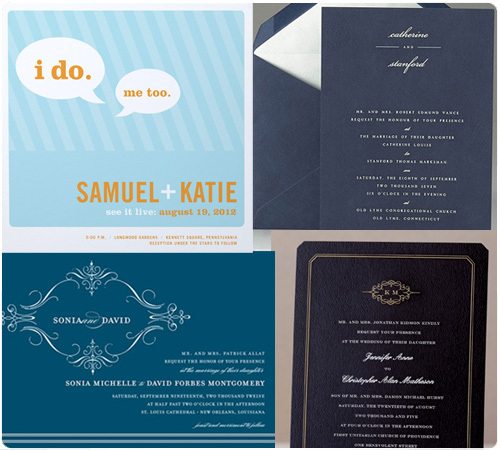 – Choose an invitation that allows you to put reception info on it so that you can skip the separate reception card. – Skip the inner envelopes. – Post one menu per table instead of one at each place setting. 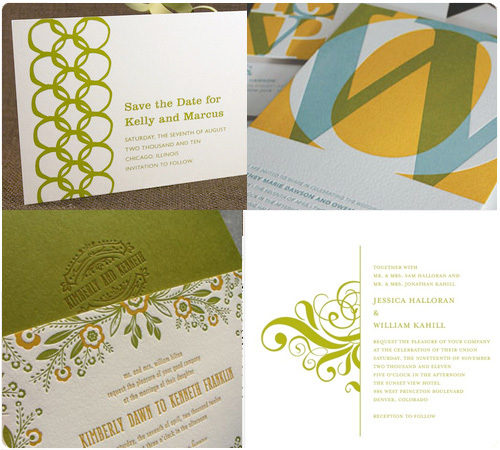 – Choose flat printing over letterpress. – Have a talented friend or family member? 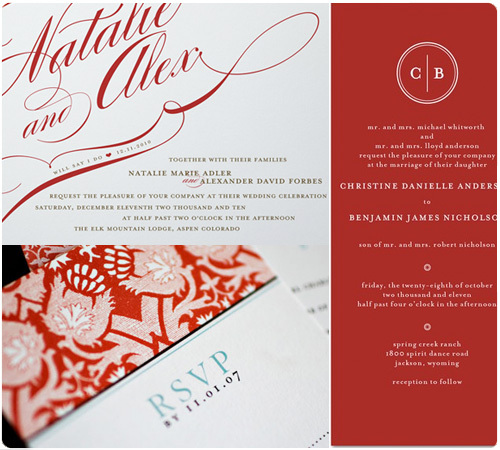 Ask them to design your invites or do your calligraphy as a wedding gift.